Now that winter is here, check out these Mizuno Wave Stealth V Netball Trainers in Cool Blue and White. 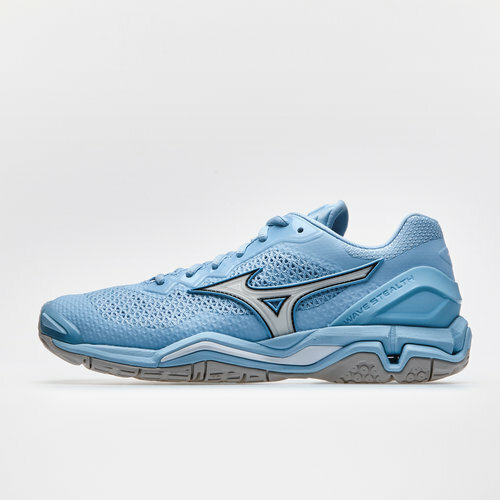 The Mizuno Wave Stealth V trainers can take the pressure away from the player‘s feet with an in-built Wave plate for midfoot and lateral support, and maximum cushioning. Dynamotion Flex Grooves provide enhanced forefoot flexibility and maximum ground contact, and an SR Touch insert makes explosive push-offs possible. New features include an external heel counter for maximum stability, and a Triaxial support mesh makes sure the foot can breathe whilst still experiencing a snug fit. It’s one of the best netball shoes you can lay your hands on. The Wave Stealth V are the most stable, most cushioned handball shoe Mizuno has ever made.